Dr. Heather Chalfant is particularly interested in the emergency presentation of endocrine disorders. Dr. Chalfant and her family, which includes two daughters, love anything outdoors, but especially biking, swimming, skiing, sledding and gardening. After spending three years as a clinical instructor at the School of Veterinary Medicine at the University of Pennsylvania, Dr. Kim Cronin still finds it important to help educate primary care veterinarians and clients. Her particular clinical interests include lymphoma and mast cell tumors. Dr. Cronin enjoys yoga, gardening and baking. She also enjoys spending time with her husband, their dog Angelus and cat Jello. 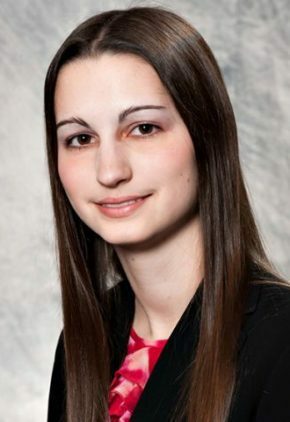 Dr. Kristina DePaula's particular clinical interests include trauma, coagulation disorders and sepsis. 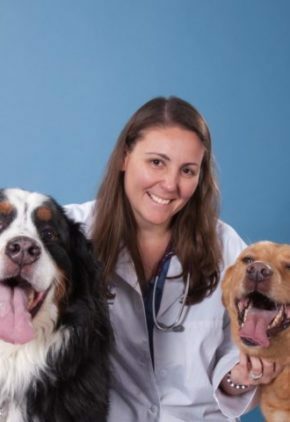 Dr. DePaula loves spending time outdoors with her husband and two dogs, River and Turner, and lounging on the couch with her two cats, Finn and Maki. Other favorite pastimes include travel, miniature golf, karaoke and cooking. 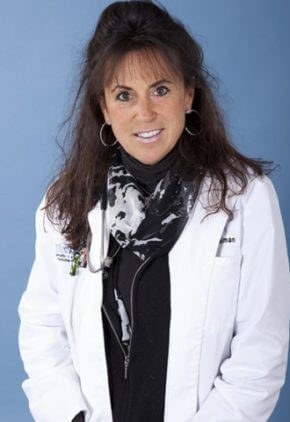 Dr. Ariane Goerlich got her start in veterinary medicine in her native Germany. Her particular clinical interests include trauma, sepsis, endocrine and ophthalmic emergencies, and management of acute and chronic pain. Dr. Goerlich and her husband have one adult son. Her favorite pastimes include winter sports, horseback riding, gardening, concerts and ballet, and visiting friends and family in Munich, Germany. Dr. Goerlich also competes in dog sports with Rimke, a Dutch Stabyhoun, which is a rare sporting dog breed. The family also has two cats, Louis and Loki. Dr. Goldstein has a special interest in emergency treatment of endocrine diseases, toxins and feline medicine. Dr. Goldstein enjoys traveling, hiking, reading and spending time with her family and friends, including her four cats. Dr. Erin McGowan's clinical interests include coagulopathies, fluid therapy, systemic inflammatory response syndrome and sepsis. Dr. McGowan's favorite pastimes include boxing, hiking and traveling with her husband. They share their home with pit bull mix Barnie, and cats Frank, Kyle and Ozzie. Dr. Caleb Murphy's professional interests include shock, trauma, and urinary and reproductive emergencies. Dr. Murphy lives in Waltham with his wife and young son, as well as two cats and a lazy greyhound. Dr. Murphy moved his family from Brooklyn in order to be closer to the Boston Red Sox. Before joining us, Dr. Mary Ann Nieves taught clinical and didactic small animal surgery and dentistry at Iowa State University. 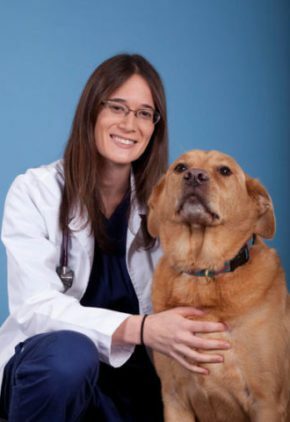 She has served as a surgeon as the need arose at several other teaching institutions including the Atlantic Veterinary College, Mississippi State University and Louisiana State University. She performs and enjoys soft tissue, orthopedic and neurosurgery, but has a special interest in surgical oncology, orthopedic and maxillofacial surgery, and pain management. Dr. Nieves is a reviewer for the Journal of the American Animal Hospital Association. 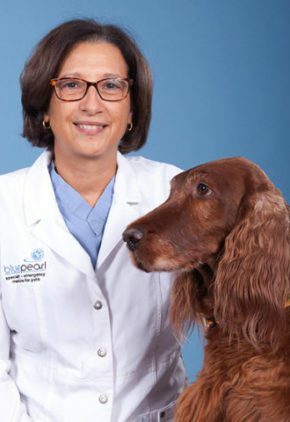 Dr. Nieves enjoys time with her family including her four-footed family Ginger, Milo, Twiggy and Lucy, coastal and deep sea fishing, sailing, hiking, gardening, and traveling to see friends and family. 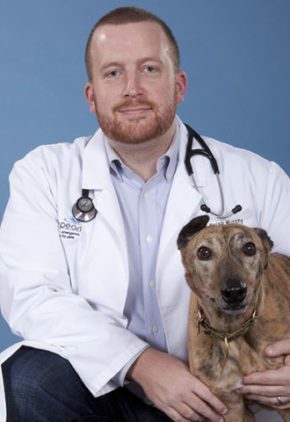 Dr. Rinaldi was drawn to the specialty of oncology to be able to give clients that extra quality time with their pets. He is particularly interested in lymphoma, leukemia, and transitional cell carcinoma of the bladder. 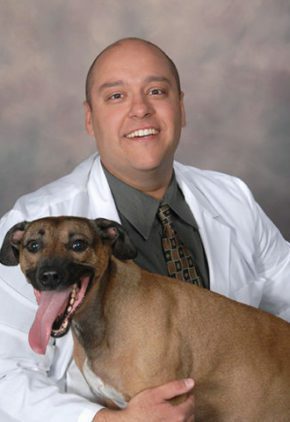 Dr. Rinaldi enjoys time with friends and family, including his wife and Labrador retriever mix Bella. He also enjoys traveling, cooking, and fishing. Dr. Melisa Rosenthal has a particular interest in nephrology and all manner of kidney diseases. She is excited about the advances in dialysis as well as all types of minimally invasive interventional procedures. Dr. Rosenthal enjoys reading and bird watching, a hobby she developed while working in ecological research in college. She and her husband, a doctor of human medicine, have three cats, Naomi, Aria and Nora. 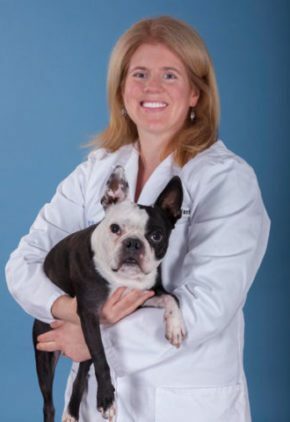 Dr. Leslie Schwarz’s professional interests include small animal radiology, abdominal and non-cardiac thoracic ultrasound and CT. She has a particular interest in the imaging of oncology patients. 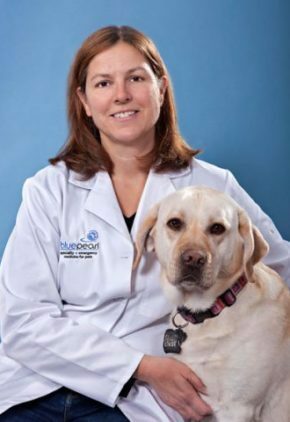 When Dr. Schwarz is not busy attending her children’s various sports, music, or school events, she enjoys skiing, traveling with her family, and keeping her yellow lab, Chica, out of trouble. Dr. Bari Spielman has a strong interest in gastroenterology and GI endoscopy as well as endocrinology, hepatic and renal disease, and immune mediated disorders. 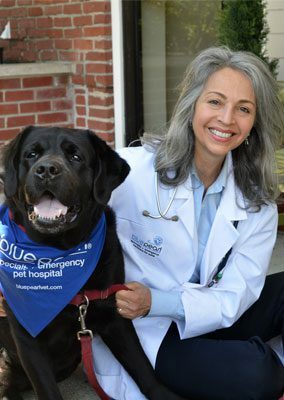 In 2001, she became head of internal medicine at the Veterinary Emergency and Specialty Center of New England, which is now BluePearl Veterinary Partners. 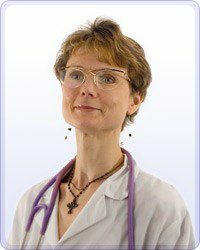 Dr. Spielman is a maniacal sports fan, especially loyal to the Patriots, Bruins, Red Sox and Volunteers. She is knee deep in dirt all summer, tending to her many gardens. 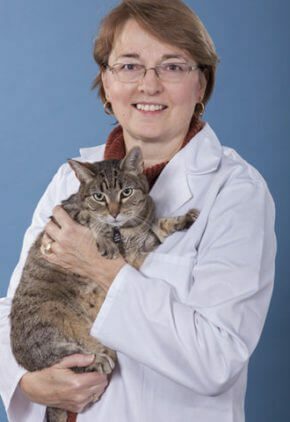 Dr. Marcia Biber Whiteley is an active lecturer on imaging topics for veterinarians and veterinary technicians throughout the Midwest and Northeast. She is especially interested in non-cardiac and abdominal ultrasound and radiology. You can find Dr. Whitely wrapped up in a good book, cooking, at the theatre, or cheering on her beloved St. Louis Cardinals. Dr. Clara Williams understands that vision is a privilege and finds it gratifying to be someone who helps preserve it. 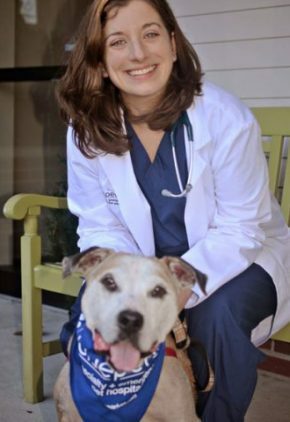 She has traveled to Bolivia, Colombia and the Dominican Republic to provide ophthalmology education to faculty and students of veterinary schools. Her favorite procedure is bilateral cataract surgery because it provides her the opportunity to potentially restore vision. Married with two stepchildren and five grandchildren, Dr. Williams enjoys visiting her home country of Colombia to see her mother and siblings. She is an avid reader and road biker and enjoys that her husband does the cooking. The family has three pets: Labrador retriever Bruno, and cats Lunita and Tiglo. Some or Dr. Alexis Zallas' favorites include internal medicine cases like diabetes or Addison’s disease, oncologic emergencies such as hemangiosarcoma, and surgical emergencies like gastric dilatation volvulus and laceration repairs. She also enjoys treating clotting disorders and pericardial effusion. Passionate about her Greek heritage, Dr. Zallas has been to Greece multiple times. 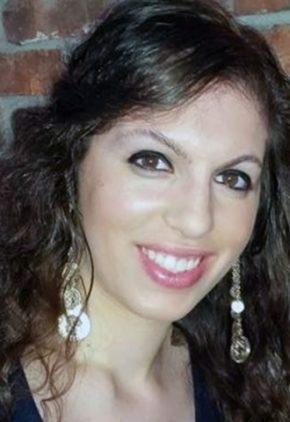 She actively participates in Greek events in the Boston community and loves cooking with her mother while listening to Greek music. She also participates in 18th century historical interpretation.